Clearlake Keys House is only a 5-minute drive from the Clearlake Oaks public boat launch ramp. Groceries are available in Clearlake Oaks, while supermarkets, pharmacy, other shopping and a multiplex cinema are a quick 10 minutes away in the town of Clearlake. For those who want to stay out of the kitchen, restaurants, delicatessens and cafés are a short drive from (and even within walking distance to) Clearlake Keys House. • For outdoor activities, we recommend you visit Lakecounty.com/explore for lots of ideas, including Clearlake State Park. ​​ • Families with young children will enjoy parks around the lake, including Nylander Park in Clearlake Oaks, as well as waterfront parks in both Clearlake and Lucerne. Other family-oriented sites are Taylor Observatory and the Ely Stage Stop and Country Museum, both in Kelseyville. 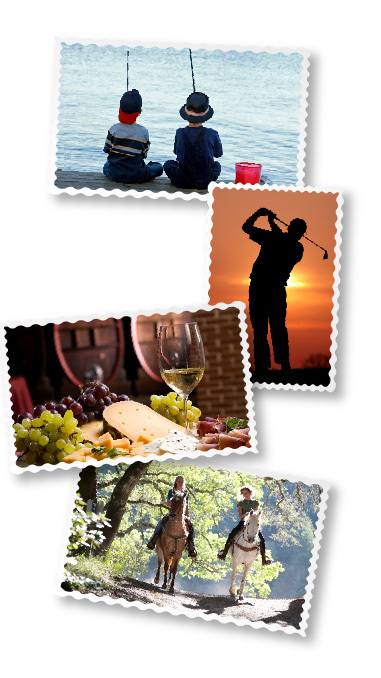 • Lake County is a premier wine-producing region. Visit Lakecountywineries.org for a map and descriptions. Our favorites include Brassfield Estates and Cache Creek Vineyards, right in Clearlake Oaks, as well as Gregory Graham Wines in Lower Lake and Chacewater Olive Mill and Winery in Kelseyville. • Casinos include the popular Running Creek Casino in Upper Lake, as well as Konocti Vista, Twin Pines and Robinson Racheria.